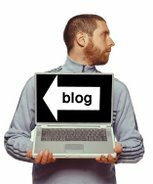 Dave Gorman: Two Problems. One solution. 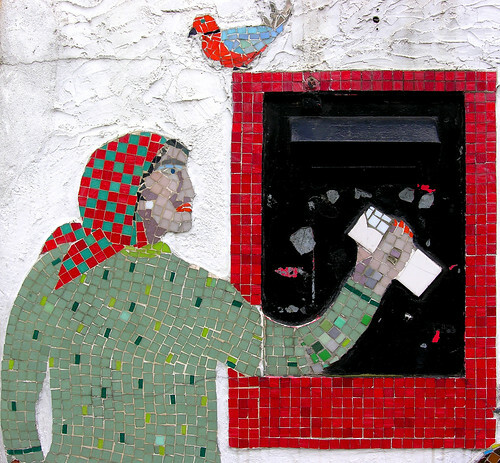 Letterbox Mosaic, originally uploaded by Dave Gorman. There's something ridiculous about the excuses - sorry, explanation - being offered by Michael Grade for the large scale fraud that ITV have perpetuated. Basically they've encouraged the public to call premium rate lines either to vote or enter competitions... even though they knew their votes wouldn't be counted or that hundreds of thousands of them were entering competitions they had no chance of winning. They made nearly £8 million out of it and they're now shamefaced and apologetic and offering refunds and so on. No-one's going to lose their job and according to Mr. Grade that's partly because the motivation wasn't "venal"... it was "to get a better show" and "misguided but not corrupt." Contestants for the "Jiggy Bank" on Ant and Dec's Saturday Night Takeaway (youtube) weren't selected at random for example. They were selected because of their geographical location and their likelihood to react well on screen. In other words, someone who lived within an hour of the game and who was likely to be the most excitable was selected. Now I understand why the producers want the most excitable person for the show. It's not as much fun watching someone who's too cool for school winning a few grand... you want to see someone jump for joy. So yeah... that decision was made with the show in mind. But the decision to ask everyone to call in and try to get on the show wasn't. The premium rate phone line doesn't make the show any more or less entertaining. But it does make the show more profitable. If they made no money from the phone calls I'll bet they wouldn't have encouraged viewers to call half as much. In this multi-channel world, advertising revenue has been falling drastically and they've turned to these things as another way of raising the money. Yes, selecting the contestant in the way they did was a decision made with the show in mind... but the decision to solicit for contestants via a premium rate phone line was venal. The norm these days... but venal nonetheless. There's no reason why they have to make money out of a viewer entering a competition or voting for a reality show contestant. Of course it's not just ITV who are mixed up in all of this. Thanks to a misnamed cat on Blue Peter the BBC is tying itself up in knots and we are left in the ridiculous situation where Match of the Day isn't allowed to run a Goal of the Month competition. Meanwhile in unrelated news we emerge blinking from a postal dispute. The strikes were to do with changes to working conditions that the management were trying to force through... but deep down it's to do with the Royal Mail's struggle to modernise. They're having a hard time these days, partly because we're all sending less letters in this e-mail-friendly world. Both of these problems can be solved in one fell swoop. Let's do things the way we used to do them. When I was a kid and you wanted to enter a TV competition it was always, "Answers on a postcard..."
Either that or we train Jimmy Saville and Tony Hart in the black arts of combat, arm them to the teeth and send them on a mission of vengeance. Have a camera crew following them around, it would be huge..
Can I steal and send your 'non-corrupt postcard entry to competitions in order to save the Royal Mail' idea in to the radio/tv show Genius? I never have any good ideas of my own. That idea could work though, and that's really not in the Genius spirit. I find it difficult to have sympathy for Royal Mail staff. I've yet to have my April cost of living increase in my pay because our union (which I'm not a part of) is arguing about the percentage. If I went on strike, nobody would care and I'd have twice as much work to do when I came off strike, plus a day's less pay. The CWU know that their actions are going to cause real problems for businesses and individuals, and so it's a ransom. Absolutely no sense of citizenship. Also, my birthday cards only arrived yesterday, a week and a half late. Unforgivable. I find the Royal Mail strike ironic in the extreme. Why are they in the current position? Because very few people continue to use their outdated services? What is the strike achieving?Forcing people to look for alternatives to their services. What will the outcome be? Less people will return to using their services after they strike. And the downward spiral continues. Pathetic. When you walk into a post office these days it's littered with the 108 other services they offer, yet they still can't do their one main function well. It's symptomatic of the need to diversify which is leaving us with loads of "jack of all trades, master of none" service companies. These types of shows prey on the underdogs in society anyway, the sort of people who want a way out of poverty and think that winning money on a game show/playing the lottery/ bingo/ scratchcards/etc will be the answer to their monetry problems. Not only have they taken money from people who can ill afford to pay it, they have also taken away any chance they had of winning by not running a fair game. I think it's despicable. People like Mr Grade don't live in the real world. As for the postal strike, I only ever get bills or junk mail anyway so I was quite pleased not to get any post for nearly two weeks. I think Royal Mail are missing a trick here. Premium Rate Stamps. In cahoots with ITV and the like, no one ever need know that the competitions a con and that the hat contained the winner before the competition had started, just blame it on Royal mail for not getting there in time. And for royal mails part in the scam, they get a % of the gross on top of a normal 1 class cost. To be fair it couldn't harm their reputation any more. Answers on a premium stamped postcard. The really cynical thing about these 'competitions' is the fact they so often have an insultingly easy question for the 'entrant' to answer, thus catagorising it as a 'competition' and not what it really is - gambling. Imagine if at 5:05 every day Rishard and Judy encouraged everyone to rush out and buy their official Richard & Judy Scratchcard from the newsagent (all profits go to the TV company). It would be something of a scandal, yet in reality that's exacly what they are doing, with just the same chance of winning (though of course we all know by its very definition how a lottery works whereas we are more used to television quizzes being based on good will and reward to the viewers rather than profit). Sadly, many of the You Say We Pay 'winners' call in and cough up £1 every day. There may of course be those who see the token 'question' as being an actual challenge and not a token way of getting past the gambling rules - though are these really the people television should be preying upon?